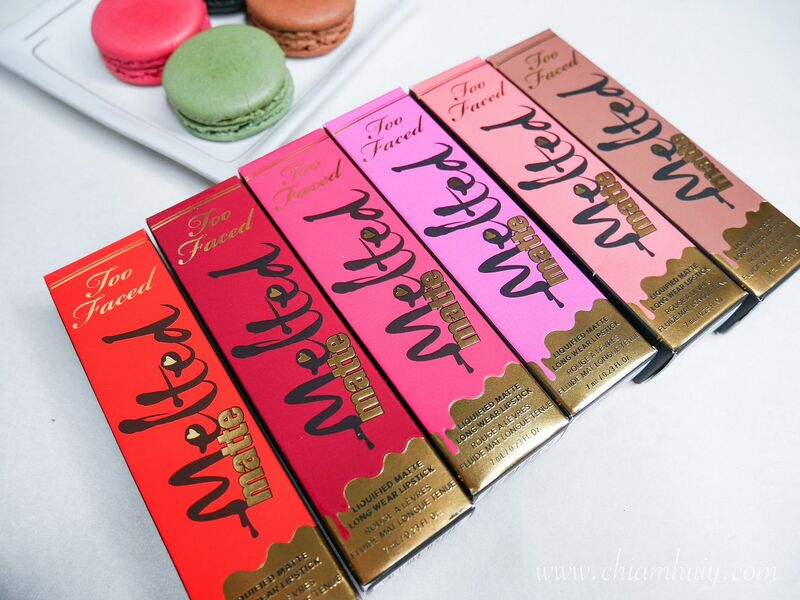 Too Faced Melted Matte Liquified Matte Lipstick launched in Singapore! It's finally here!! 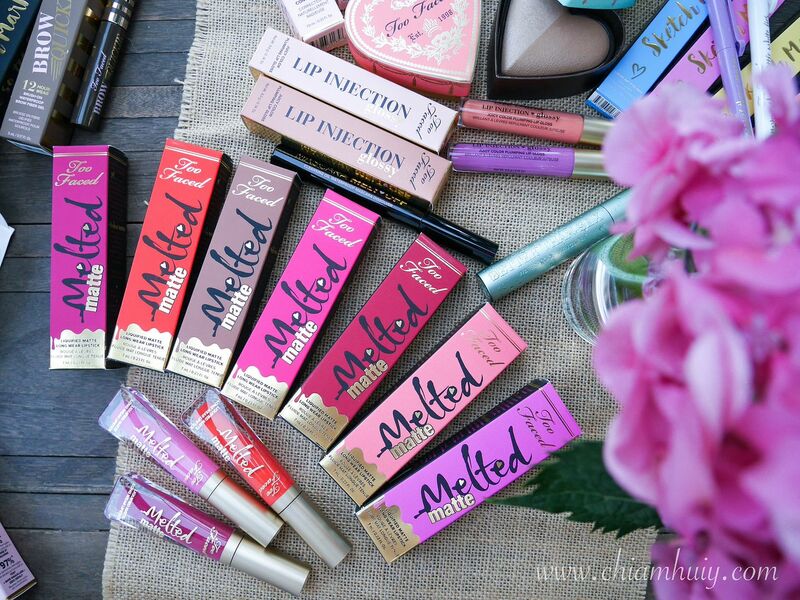 Too Faced Melted Matte Liquified Matte Lipstick is finally launched in Singapore, and I am pretty sure many ladies have been waiting for the longest time for these babies to launch. If you love its predecessor - Too Faced Melted Liquified Long Wear Lipstick so much, I am pretty sure you will love these Liquified Matte Lipstick. Otherwise, if you are in the bandwagon of matte lipsticks, you must not give this a miss! That selfie you saw up there? I was wearing one of my favourite shades among the 7 I got. Unfortunately, I lost one somewhere (sorry bout it!! 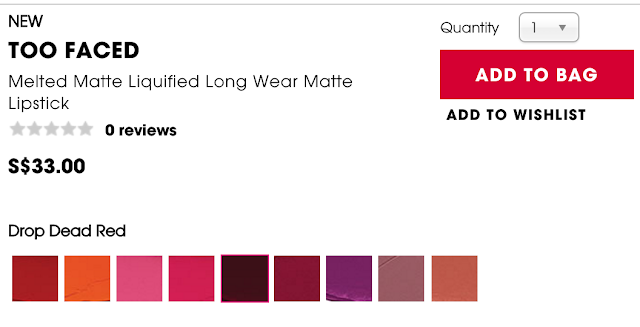 ), so I only can do a swatch of 6 shades for you. Nonetheless, you can always hop over to Sephora to view all 9 shades launched in Singapore. Before we get to the swatches, can we spare a moment to admire the exquisite and classy packaging? As usual, these Too Faced Melted Matte Lipstick stick close to the shiny gold theme, making these cosmetics a good collection to keep. Feels happy to even take out and touch up my lipstick while I'm out! I would say this collection (9 shades on Sephora.sg) has a good mix of both neutral and vibrant colours. The range spans from something really bright (eg. Feelin' Myself) to really vampy dark (eg. Drop Dead Red). My favourit shade? It got to be "It's Happening!". 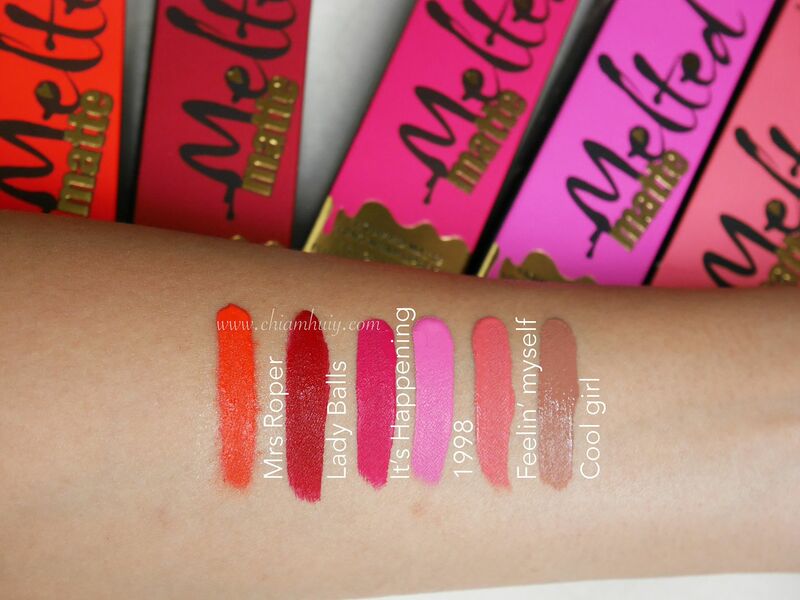 Fate or what, it was actually the first shade I picked when I first laid hands on these matte lipsticks. 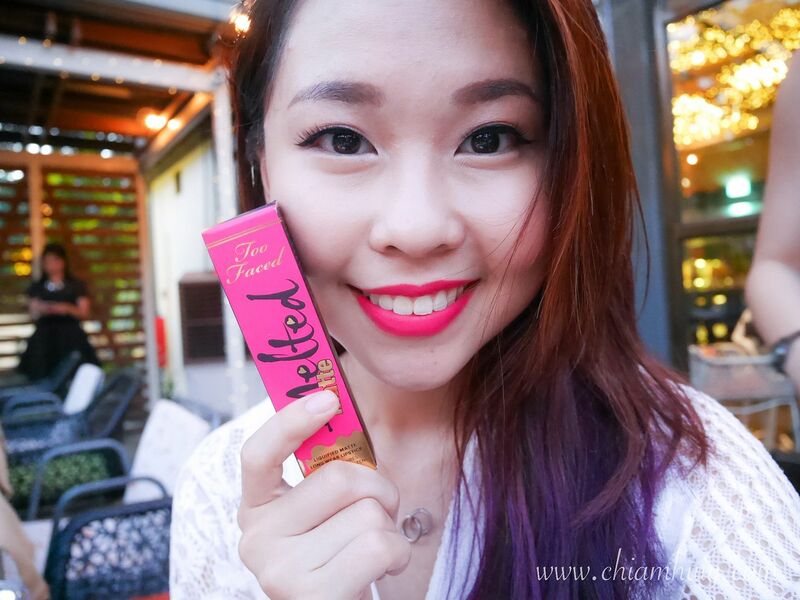 When I first saw this bright fuchsia pink, I know I have to try it on my lips. Turned out, many complimented how stunning the shade looks! Other than that, the darker shades are amazing, "Lady Balls" looks like something I would wear on a date night! 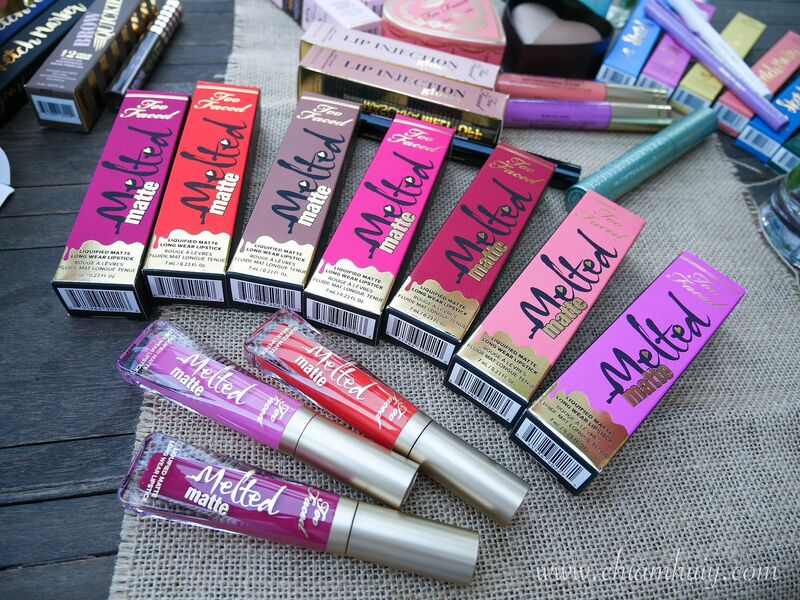 Quality wise, these matte lipsticks doesn't transfer. The whole night during dinner, the lipstick stayed on well and my glasses don't really show much of the lipstick. That shows how wearing and long-lasting this matte lipstick is. 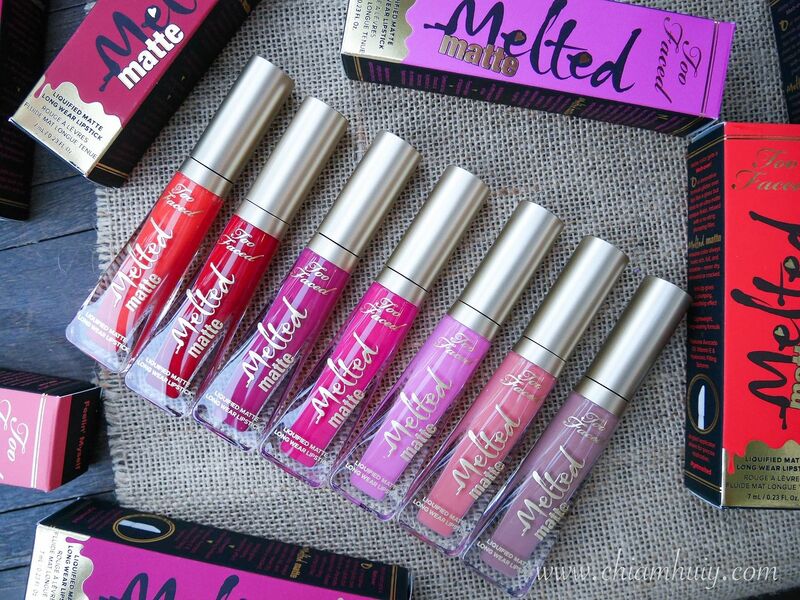 Too Faced Melted Matte Liquified Matte Lipstick is priced at SGD33 and is available on Sephora Singapore!.